Officially below my shoulders. Right? Woo Hoo! I got my hair trimmed today. For me this was a big appointment. 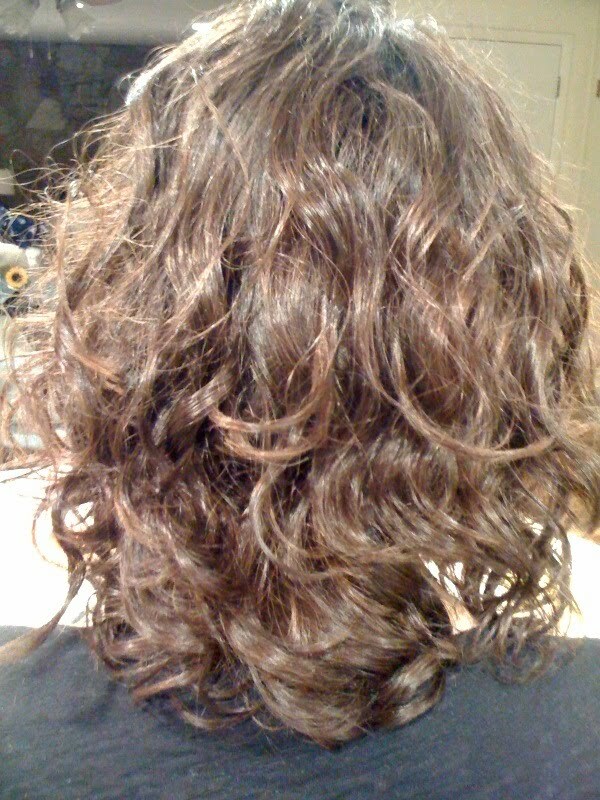 My hairdresser said my hair was getting long. Oh, the joy I felt. You see, I decided about 6 months ago to grow my hair out. I have tried to grow my hair out before, lots of times, and I always get frustrated and cut it. Right back to the chin length I have been wearing it at for the last, well, lots of years. I always quit. My hair appointments are a little different. I have a dear friend who cuts my hair. She once had her own salon and clients galore. Then she started having kids and gave up the salon and the clients. The last 6 months she has started cutting hair in her home, just for a few lucky people. I am really lucky. She has 4 children, I have 3. I bring the kids and the 7 of them play for as long as we will let them. Haircuts are not quick. What would take one hour in a salon, takes 2 and a half hours at her house. I have no complaints. In fact, I am more grateful for the time we have to spend together than the haircut, and she gives one heck of a haircut. She has been helping me grow my hair out. She cuts it into styles along the way. She is encouraging, and when I want to cut it all off, she tells me I can do and suggests things to make the growing out phases easier to deal with. Today, as I sat in the chair, in her laundry room, next to the washer and dryer, I thought about how long it was taking for my hair to grow. "I should just cut it short again", I thought. Then the door opened for the 100th time in 5 minutes and her son and my daughter came bounding in. Funny, I thought "Raising kids is like growing my hair out". How you ask. Well let me tell you. Growing my hair out takes patience. The process is long and I have to be patient as I wait for it to reach the desired length. Raising kids also takes patience. A lot of patience. Not only do we have to be patient with our children as they learn and grow, but we also have to be patient with ourselves. I tend to expect perfection from my children and myself. When things aren't perfect I feel guilt and frustration. Just like I have to wait for my hair to grow, I have to be patient with my growth. I am learning and growing and figuring out along the way. So are our kids. Growing my hair out requires me to see the big picture. In the past when I give up on my hair, it is because I lose sight of the big picture. I lose sight of where I am going and how I planned on getting there. I am so focused on how it looks on the bad hair day, I lose sight of what I really want. Longer hair. Raising kids requires us to see the big picture. It is easy to let a bad day discourage us. When we are dealing with temper tantrums in church and laundry and housecleaning, we can easily lose sight of the big picture. There are good and bad moment. I have a quote on my fridge that I read everyday. Elder Ballard, speaking to mother's said " recognize that the joy...comes in moments. There will be hard times and frustrating times. But amid the challenges, there are shining moments of joy and satisfaction". This quote helps me remember that just like my hair, one bad day doesn't mean it is the end. I am constantly reminding myself what my ultimate goal is as a mom and wife. Growing my hair out means bad hair days. Every day is not a good hair day. That is just a fact. We can't change it, we just have to accept it. Raising kids means bad days. We are not perfect and neither are out kids. Days will not be perfect. The sooner we accept that, the better off we will be. Growing my hair out means I have to make modifications along the way. I have had to accept that this will take time, and that I will have lots of different "styles" throughout the process. These modifications are not always easy. 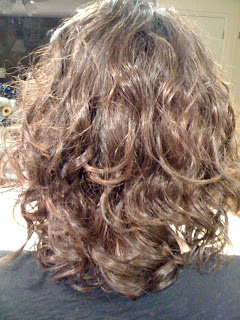 When my hair is shorter, a more familiar style, my hair is more predictable. Raising kids means I have to make modifications along the way. What works in raising our son does not work with our daughters. As our family grows, so do our responsibilities. The relationship I have with my husband is always being modified and changed. I might have a day planned and end up changing all my plans to take care of unforeseen needs of children. As mother's we have to be flexible and modify along the way. Growing my hair out means I need good people around me to cheer me on. When my husband tells me my hair looks nice, or my hairdresser assures me that it looks great, I feel supported. Raising kids means I need good people around me to cheer me on. Surround yourself with good people who believe that families are eternal also. People who support you and your decisions. We can't let the world diminish what we are doing. Growing my hair out is frustrating. Enough said. Raising kids can be frustrating. Enough said. Growing my hair out is awkward. Bangs are too short to pull back, but too long to wear like real bangs. I have never had hair this length. I don't know what to do with it, the tricks and tips to style it. Feeling awkward about my hair can ruin a day. You all know what I mean, right? There is something about a good hair day that makes things better. Raising kids is awkward. It is new territory. I have to talk about things that are a little awkward. I have never had an 8 year old before. I have never had two children in school before. I feel a little awkward as I figure out how to run an expanding family. Not to mention that I sometimes feel awkward. I am constantly trying to figure out who I am. There is a fine line balance between who we were and who we are, as well as who we are trying to become. These stages of self discovery can be awkward. Growing my hair out takes dedication. This time around I am committed. No matter what, I will see this through. I will grow my hair, no matter the time it takes, or the frustrating hair days. I have promised myself that I will not cut it until it has reached the length I have dreamt of. Raising kids takes dedication. As women and mother's we have taken on a great challenge. If we want out families to be successful we have to be dedicated. We have to decide that we will be intentional and not give up. No matter the trial, the sleepless nights, the dirty dishes. What we do everyday takes dedication. It is through that dedication that we are able to dig down and find the strength to be mothers and women at this time on earth. Just like I can grow my hair out, I can do this mother thing too. How do you feel about your hair, and raising kids? What buoys you up in the process? What a great post! I love what you've written, and I think it's very true. Thanks for sharing. I am growing my hair back out. I was able to sit on it in elementary school, and it went to my lower back in high school. Then graduation hit and I decided that a change in appearance was due because of the big change going on in my life. Now as I try to grow it out, I too get frustrated and annoyed. It is now the length where it tucks into my shirt collar, and because it is way too thick it likes to fight me like it has a mind of it's own. I realize as time goes on in the mind numbing process that I will eventually achieve the desired result. Just like eventually Asher will be potty trained, Abbie will finally be big enough to fit in a front facing car seat, Matt will finally finish school so that I can be a stay at home mom, I will finally lose the baby weight so that I can be as healthy as possible for our next pregnancy; and all of the little things in between. Raising a family isn't mind numbing, but it is difficult. Sometimes it feels like my kids are far too independent for their own good; but I get my desired result with them everyday because of those "joyful moments." I just cut 17 inches of hair off. It took me 5 years to grow it out almost to my waist and after having my third baby a few weeks ago and turning 30 I decided it was time for a change. I'm loving having it short but I miss it sometimes too.